How much does it cost to Name a Star? StarNamer® is a price leader when it comes to naming a star. We offer instant star naming, star certificates in a diploma style holder and star certificates in picture frames. So, whatever your star naming desires, we offer many different packages that will meet your needs. Our prices range from $18.95 to $179.95. What is a Star Name? 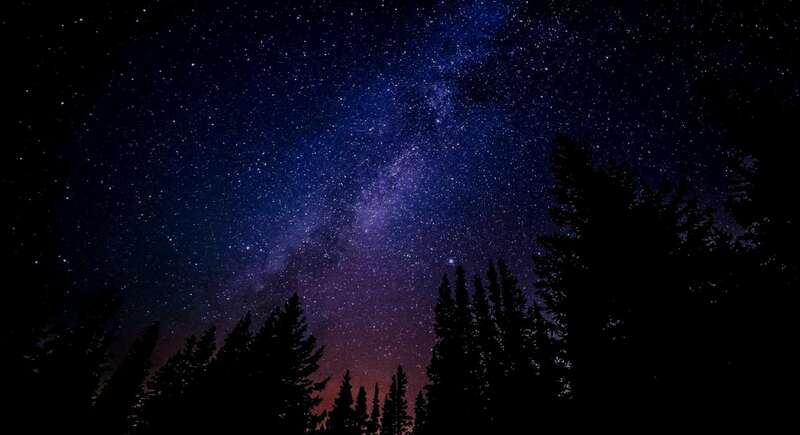 With billions of stars in our galaxy alone, very few of them have commonly used names, such as Polaris, the North Star. The vast majority of stars are referred to by telescopic coordinates or catalog numbers. These unnamed stars are available in our Star Catalog. Your star is only named once by us and it will remain exclusive to you in our catalog in perpetuity. StarNamer's Universal Star Catalog is comprised of a huge list of, for the most part, northern hemisphere (United States included) detectable stars of apparent magnitude(Bt) 11 or less that includes their telescopic coordinates along with our designation numbers and the designation numbers of the Smithsonian Astrophysical Observatory. The Universal Star Catalog uses the International Celestial Reference System for star locations (Right Ascension and Declination) as such complies with the 1991 recommendations of the International Astronomical Union. This insures epoch 2000 cross-compatibility with other star locating software, websites or even government telescopes from the likes of NASA and the European Space Agency and local planetariums. Your star name in our catalog is reserved exclusively in our official records and the perpetual Trusted Digital Repository we use and is not affiliated with the scientific community. When you purchase your star is selected for you by computer at random unless you use our custom located feature which is a human manual selection process for our most discerning clients. StarNamer has been collecting, naming and registering stars for close to two decades and as such about 150,000 stars have been named so far in the Universal Star Catalog. What does a Star Certificate look like and what information is on it? The Star Certificates that we provide you are very attractive. We are constantly getting comments from our customers about how pleased they are when they get their Star Certificate. You can see them depicted on our home page. The information on them includes the star's location (that is the right ascension and declination), the name of the star, a date special to you, and the star's registration number. Is there any limitation to what I can name my star? Some people use full names, some people use first names, some people use nicknames and some people use two names. It can be anything. The only real limitation is that the name must be 39 or less letters long. What is the dedication date? The dedication date is any special date that you want on your certificate. It can be a birth date, marriage date, anniversary, Christmas Day, you name it. If you're stuck for a special date it can always be the date that you purchased the star. Will my star name be officially recognized? There is a scientific organization called the International Astronomical Union that claims exclusive rights to officially name stars. We disagree with this position and believe we have every much a right to name stars as they do. That is, based on international space law, our official status is equivalent to theirs. Our registry and star catalog are not coordinated with them or the scientific community. Therefore, you won’t have some astrophysicist calling your star “John Smith.” They will continue to use the telescopic coordinates, since it is more convenient for them. StarNamer has named close to 150,000 stars during our 20 year existence while the IAU has only named a handful. They do not name stars, at the same time their position is to ridicule and belittle those that wish to. We find this to be the height of arrogance. Bullying by scientists has no place in a modern, progressive and tolerant society. Indeed, to us, naming a star is a most wonderful gesture. We sincerely respect and honor that. Please make all your friends, family and loved ones aware that you have named a star and use our Find Your Star link to locate it and also share on social media. These are the people that matter; who cares if some scientist is using your star name? What matters is your family and their appreciation of your devotion. Thank you so much for your interest in star naming! We are here to assist in any way possible. What does it mean that my star name will be saved forever? We have an agreement with a third party non-profit corporation. This perpetual legal entity operates a Trusted Digital Repository whose mission is to retain the database of star names we provide to them forever. They have set up an endowment fund to pay for the cost of storing the Universal Star Catalog for all time. As long as there are corporations on this planet, your star's name is guaranteed to be saved by them. Do you have any StarNamer® Logo gear for sale? Yes! Check out the shirts, hats and mugs at our StarNamer® Logo gear link. Thanks! Will I be able to see the star I have named? Absolutely! Some of our stars can be seen with the naked eye and some require small telescopes or binoculars for viewing. But, because our star coordinates are so definitively precise, you will be able to locate your star. However, you may not necessarily be able to see your star from your city's location. We recommend planetarium software packages available that allow you to see star charts on a personal computer. The better of these programs will allow you to find your star. But it is absolutely BEST to use the Find Your Star link on this website to locate and see a picture of your star. Can I associate my own photograph with my new star? Yes you can! After you purchase your star and go to the Find Your Star link, you will be given the option to upload your own small photo (50 KB or less JPEG) into the registry. There is a link under the photograph of your star. After you upload your own photo it will be displayed on your unique web page created when you access the "Find Your Star" link with your star registration number. ALSO -- Amazing but true!!! After you have uploaded your own personal photo, you will be given the option to include that photo on a copy of your star certificate PDF file that gets emailed to you. Select the "check box" to include your uploaded photo on the certificate then use the "Email Me a Certificate" field and button to get your certificate sent to you with your own photo on it! How cool is that!! Where do you publish your registry of star names and can I access it? You can use the exclusive StarNamer service to locate your star simply by visiting our Find Your Star link. Once you purchase a star name, you will be given a star registration number, with which you can access our registry completely free of charge. You’ll see your name in the registry along with the dedication date and precise star coordinates. Can I get extra copies of my star certificate? Yes, and they’re FREE! It’s another exclusive service of StarNamer! In our navigation menu, select the Find Your Star menu item. After purchasing a star name, use the registration number you receive to access our registry. Then, enter your email address and select the button and your certificate will be sent to you via email. Once you receive it you can print it on your computer's printer. How do I order an engraved star ornament separately? If you have already purchased a star and know your star registration number, you can purchase the engraved Rhodium silver finish star ornament separately through our secure order form. If you don't know your star registration number, you can Contact Us as long as you know the name of the star. Use the "Find Star Registration Number" service request to locate your star. Will you be able to ship to my special address? We ship to PO Boxes, FPO addresses and ANY address that you can think of. If you currently receive mail there or if your mail forwards to you, you will get your star package. However, we no longer ship packages to non-USA destinations. We can still email you a star package though; those are available to be shipped anywhere. I am concerned I may not receive my Star Package in time for a special occasion. What do I do? If you have ordered your star close to the day that you want to give it to the recipient and you don't think that you will get it on time, there is something that you can do. You must know your star registration number. You can find it two ways. First, look at the receipt that was emailed to you when you placed your on-line order. Second, you can Contact Us and using the "Find Your Star Registration Number" Service Request enter the name of the star to find your number. Once you have your star registration number, you can Find Your Star and get a copy of your certificate emailed to you immediately! You can then use this certificate temporarily until your Star Name gift package arrives. After I place my order, how long until I receive my Star Package? The electronic star certificate is delivered to you immediately by our web server. If you need something super quickly, this is your best option. Our other Star Name gift packages are custom printed by us and will ship within two business days following our receipt of your order. Standard shipping is delivered by truck from New Jersey, USA. 99.9% of our orders arrive in nine days or less. Please be patient especially if you have selected a slower method of shipping. If time is a consideration, we strongly suggest Priority shipping. Priority shipping is delivered by air and requires about two to three days transit time AFTER we process your order. For your convenience we have the following: First Class or Ground - 4 to 9 days. Priority - 3 to 7 days. Express - 2 to 6 days (but usually 2 to 3 days). Do you have different certificates that say "in memory of" instead of "in honor of"? We're sorry, we only have certificates that say "in honor of" the named person. We hope this isn't a problem for you. However, there is nothing inappropriate about honoring a deceased person. We use this wording on all of our stars and it is quite suitable for a memorial. How do I download or get the Planetarium Software? If you would like our Planetarium Software (Windows and Mac*) so that you can locate your star on your computer, please use one of the following links. You can download our software free of charge from this server. The following link is a download of an ISO file image that can be burned to a CD. Download our Planetarium Software ISO image. If you do not have a CD burner, you can download a ZIP file with the executable and star data files that can be copied to a folder on your hard drive. Download our Planetarium Software as a ZIP file. *This software is a Windows .EXE file and does not need to be installed on your computer - the EXE will run just fine when copied to a folder. If you have a Mac or Linux computer you will need a Windows emulator such as "Wine", "Boot Camp" or similar, and the Planetarium software will work on your non-windows computer too. Sorry, we do not provide support or customer service on this software product. Thank you for your understanding. If you would like us to mail you a CD, we can and do not charge for it. However, we do have to charge for shipping. Order your Planetarium Software CD. I would like to custom pick my own star, can I do it? Yes! We can accommodate two types of special requests. If you have request for a star visible from a specific city. Or if you have a request for a particular constellation. However, as this is a completely custom and manual procedure, we charge an additional fee for this. You have your choice of either the deluxe framed star package or the diploma style star package. Either package comes complete with Planetarium Software CD and star chart depicting the location of your star. The cost for either package is $89.95 plus freight. You will definitely be pleased with the outcome. Order your CUSTOM star. To see about upgrading/exchanging your existing star package to a CUSTOM star package, go to the "Contact US" link to the upper left and select the Upgrade/Exchange service option. Why are the star location coordinates you use not specified in hours and minutes on my certificate? Just as one temperature can be represented by two different numbers, Celsius(Centigrade) or Fahrenheit, one star location can be designated by two (or more) different systems. The decimal system represented on your certificate is very precise and this is our preferred method of representing your star's location. However, if you need to convert from the decimal system, on your certificate, to the hours and minutes (sexagesimal) system, we do the conversion for you at the Find Your Star link. Or, alternatively you can Download an Excel spreadsheet to make the conversions for you. How can I get a free picture of my star and see its location? Simply go to the Find Your Star link and enter in the Star Registration Number and you will be shown a picture of your star on this website. Or, the good folks at Google provide, Google Earth, a free service for viewing astronomical bodies (note: Google is not affiliated with StarNamer). To use Google Earth, you will need to first convert your star's location data (the right ascension and declination) to the hours and minutes system (please see the preceding question for the conversion methods). Once you have made this conversion, go to Google Earth and click on the Sky icon. Find your star by inputting the RA and DEC into Location Search entry field and selecting the magnifying glass. Zoom in or out to get a nice image of your star then select the printer icon to get a printed picture of your star. Please note that we do not provide support for Google Earth. Visit Google Earth. How can I buy your product as a gift for another person so they can name the star - like a gift certificate? Do you want to buy one of our products for someone and don't know what the final name will be? Is this a gift for another person so they can name the star anything they would like? If this is your intention, yes we can do it! Simply buy any of our products and for the star's name use: YOUR NAME HERE as the name. We will build the package and ship it or email it where you like with the name YOUR NAME HERE. Then, when the recipient wants to name the star, they should contact customer service (an instructional letter will be included with the package) and we will rename it for them to the name they want and send out a new certificate, with the correct new name, at no charge. Voila! When we send out the correct certificate, we will use whatever shipping method was selected for the original purchase. For example, if you purchased the package with Priority shipping, we will ship the original package Priority and when the recipient contacts us to provide the correct name, we will ship the corrected certificate via Priority at no charge to the recipient. How do I get a free copy of the eBook, the History of Astronomy by George Forbes? It is easy! Download a free eBook pdf file. How do I get a free copy of the Sky Map Planisphere showing all the constellations and major stars in the northern and southern hemispheres? It is easy! Download a free Sky Map Planisphere pdf file.